In the travels of Jesus according to Luke 18. vs 18 “a rich young ruler questioned Jesus, saying, ‘Good teacher, what shall I do to inherit eternal life?’ And Jesus said to him, ‘why do you call Me good? No one is good except God alone.’ Jesus question to us as Americans seems rather harsh and uncharacteristic for Jesus to say, yet in the complete context of the story it is revealed that Jesus really is making it clear that to believe in Him for salvation, a person must understand and confess that Jesus is, in fact, God. He didn’t become a god, He isn’t godlike, He didn’t purify himself, He didn’t do enough that He gained access to Godliness, Jesus is God in the form of mankind. Review: King Ahaziah of Israel is injured (1:1-4)…God protects Elijah with fire three times (1:5-16)…Ahaziah dies and Jehoram becomes king (1:17-18)…Elijah taken into heaven by way of a whirlwind (2:1-11)…Elisha given a double portion of Elijah’s spirit (2:12-14) and succeeds him (2:15-22) as prophet of Israel…Kids insults of Elisha are reproved (2:23-25)…Jehoram is not as bad as his parents, Ahab and Jezebel (3:1-8)…Moab is defeated by the combined forces of Israel, Judah, and Edom (3:9-27). Analysis: Ahaziah is the product of King Ahab and Queen Jezebel who were certainly competitive with the worst of monarch’s of Israel (1 Kings 22:52-53)…Ahaziah succumbs to Elijah, king to prophet, idolatry to orthodoxy (1:1-17)…Three times Elijah tells Elisha not to follow him; three times Elisha disobeys showing his devotion and independent thinking (2:2-8)…The mysterious departure of Elijah with horses of fire and chariot and whirlwind display God’s both awesome and unpredictable natures (cp. Exodus 14, Joshua 3-4, Deuteronomy 34)…The youth’s may have survived their encounter with two female bears (2:23-25)…Elisha’s insights are contrasted with the monarch’s beliefs (2 Kings 3)…It’s of interest to note that the LORD’s dealings are not simply with His people in isolation; rather they are made in some combination with happenings and other peoples…All of this takes time to come together. Elijah is one of the great prophets and in this passage today, Jezebel has shaken Elijah to his core with her threat to kill him. As is typical, fatigue and discouragement follow such experiences. Elijah flees to Sinai – where God had met Moses…it was a sacred place. He had run for his life and arrived at the mountain alone and discouraged…full of self-pity. What do you do in such situations? Do you allow yourself to wallow in the pit of self-pity? Do you try to figure out the solution all by yourself? Or, do you, like Elijah – even in that state, know the sound of God’s presence in your life? Are you always looking for the bold and majestic forms of miracles or, are you listening for the miracle of the whisper that comes from God? Like the broad stroke of a paint brush…Psalm 68 shows us Davids celebration of the victories he had gained over his enemies – victories gained through the blessing of God. He shows the goodness of God and what God has done in redeeming his chosen people. More importantly, he provides the continuing examples of God’s care for his people. Like the reading about Elijah, this Psalm reminds us to consider all God has done for us. Does the presence of God in your life create a sense of awe? Are you left breathless by his presence in your life? If you struggle in this area…many do, listen for the whisper. In Romans 7, Paul is focused on one of his main points related to our belief in God. Over and over in his many writings to the churches, Paul says that law is not bad – the law was a gift from God to his people through Moses originally – a way to protect them from the pagan cultures around them. However, as is usually the case, the law can quickly become legalism. Paul was an expert at legalism before his conversion. Along that road to Damascus, Paul realized that God accepts sinners by grace alone – not lawful observance or legalism. But, there comes this basic problem that I’ll bet all of us would agree with…on my own I can try as hard as I’d like and yet sin is still present. The law exists to point out where I fall short but the law cannot redeem me and this is Paul’s message – our relationship with God through Jesus the Christ by the power and presence of his Holy Spirit has to be seen in a new light…a life in the grace of God. Just like the whisper Elijah knew and heard and reinforced in the Psalm’s examples, Paul also reminds us of how we approach our relationship with God. Listen for God’s whisper of grace each day but I don’t think it is easy. We are trained by the world around us to look for big and bold answers. Are you listening for God’s whisper? Can you hear the sweet melody of Jesus’ voice through the noise around you? Step back from the chaos in your life and listen for the whisper of the Holy Spirit. Listen to the culture around you and you will, more times than not, find an underlying thread of self-sufficiency being portrayed. Who needs religion…the church…Jesus? With modern science, the vastness of technology, remarkable advances in health…et, I can do this on my own. Today, speed, comfort, convenience, power and information are all there for you…a culture that tends to play to our natural desires of independence and self-sufficiency. Yet, I have seen so many individuals buckle under the weight of grief and hardship – not knowing where to turn. When life seems like it is against you, whom do you rely upon? When you are driven to weariness and despair, where is your anchor? Can you hear Jesus calling to you…come to me, all of you who are exhausted…come to me, all of you who are weighted down by great burdens. But this is not to imply that we just dump our problems in Jesus’ lap. 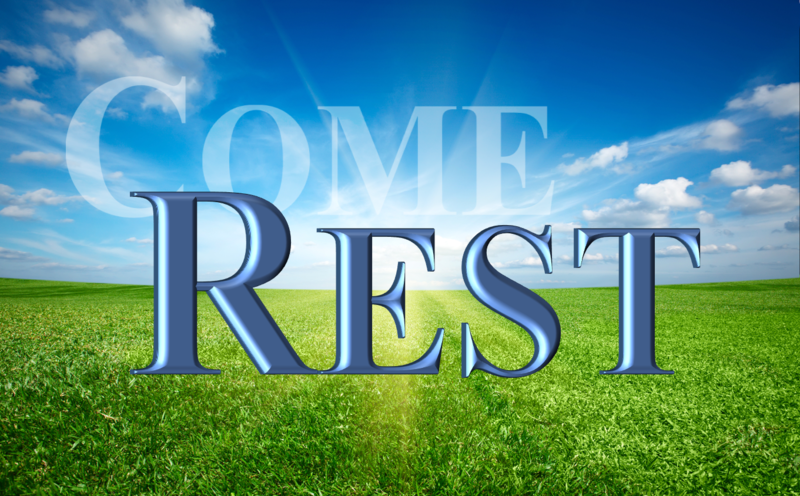 Rest does not mean inaction on our part – Jesus says, place yourself under his yoke and learn from him. Irish poet, W. B. Yeats said: “Can one reach God by toil? He gives himself to the pure in heart. He asks nothing but our attention.” Mentally searching for God can be as futile as trying to deal with everything on our own – knowing God has so very little to do with mental searching. Giving our attention to Jesus the Christ – well, that is an entirely different thing…our attention – heart, mind, soul and strength because in Jesus we see and know and fell what the Lord God Almighty is like. Today…cast your problems and burdens on Jesus and give your attention to his teaching and his love to guide you through the tough spots of life and to help you soar each and every day!! 5/30/18 2 Kings 1-3 Psalm 69 Romans 9 Craig R.
O my Lord! Romans 3 alone would require about a week of blogs just to skim the surface of it’s depth. What are the benefits of being Jewish? What then, are we as gentiles better than they? No there are none righteous, not even one! The Law was given to establish sin, for a man might reasonably say he knew nothing about sin, so the law was given to show mankind that he was utterly sinful, then the prophets came to declare that a savior was coming who would free man from his sin. The savior came and was revealed as the sacrifice for sin, the righteousness of God, who Himself was the source, Jesus was God’s agent do His will and glorify Him. Jesus is the satisfaction of God’s requirement for the payment for sin. All the blood of all the animal sacrifices of all Israel’s history did nothing but allow God to overlook the debt that was needed to be paid. Vs. 25 “In His forbearance He passed over the sins previously committed.” But not satisfied, until Jesus. Vs. 26 ” For the demonstration, I say, of His righteousness at the present time, so that He, Jesus, would be just and the justifier of the one who has faith in Jesus.” Christ’s death was to glorify God, in that it declared God’s utter righteousness. A perfect sacrifice of a perfect man as a substitution for each of us sinners was received by God the Father in that Christ was raised from the dead and made Lord over all. Christ death exalted God’s grace in that it was given freely to mankind, initiated by and orchestrated by God alone without any cost to us. It revealed God’s consistency from the beginning of Adam’s sin to provide for the delivery of man from his sin. It confirms the truth of the word of God which declared through the prophets that an anointed one was coming. Christ died a substitutionary death to satisfy God’s justice. Therefore when we believe we admit our sin and accept that justice of God available through Christ, to be justified. So Christ is both just and justifier of all who believe in Him. When we believe we also glorify God in recognizing the great work He has done, which for the most part is way more difficult to grasp than this short expose. In Joshua 7.19 Achan had kept some spoils from a battle. Joshua called him in, he then confessed his sin, gave glory to God and then paid the price for his sin. Thanks to Calvary we now get to skip the “pay the price for our sin” part, it’s been paid by the blood of Jesus. Praise be to God ! Review: God speaks to Solomon unconditionally about the Temple (9:3) and conditionally about everything else (9:1-2, 4-9)…King Hiram of Tyre and Solomon exchange gold, cities, and building supples (9:10-14)…The extent of Solomon’s fame and holdings is substantial (9:15-28)…The Queen of Sheba visits Solomon (10:1-13)…Everything of Solomon’s is adorned in gold (10:14-23)…The wisdom of Solomon is sought by many (10:24-25)…Silver is cast aside as worthless (10:26-27)…Commerce was part of Solomon’s plans (10:28-29). Analysis: Apostasy, that of abandoning God, is a frequent feature of the OT…The reason is it’s such a problem for people is a prime source of help is cut-off…A contract of some sort existed between King Hiram and Solomon for time and materials (9:10-14), so true to real life…Forced labor, by the “peoples of the land, ” (9:20-21) was due to Israel’s military conquests since the time of Joshua…Sheba is envious of Solomon’s servants (10:6-9), a testament to the high standard of living level enjoyed in Jerusalem…All the good that happened to Solomon was the LORD’s response to his prayer for wisdom (3:1-13)…Some of the wealth of Solomon came by way of land trade (9:26-28), sea trade (10:22), and transportation toll taxes (10:15)…To some, Solomon’s wealth was due to God’s blessings and his choices…To others, Solomon’s wealth was due to his indulgence and greed…It depends on one’s perspective. How are you “Building” your life for God? Today’s Guest Blogger is Bob Becker!! In Kings we see that Solomon, who had been given by God (in his heart and mind), the ability to build such a great and “Holy” dwelling for the Ark of the Covenant. This temple was the largest of large and spared no cost when it came to what went into it’s construction. Material and size were not a concern and everything was planned out for the glory of God. This place would be the permanent dwelling place of the Ark, containing the tables with the Ten Commandments that had been received by Moses. Pillars set in the entry, in which all people coming into the temple would pass between, were named: Jachin on the right and Boaz on the left… “he will establish” and “in it is strength”. The delivering of the Ark, to the temple upon completion came with great respect from many, since it was carried out by the priests and no others and even the way that they carried the Ark was so very different, so nobody was allowed to touch the Ark. In Psalms we hear the purpose being that of thanksgiving… We hear the prayers thankful for growth and for the forgiveness of sins and for the clearing of the sins, as long as there is love for God by the sinner. We also find that salvation has no boundaries and will find us because of God’s ability as long as people continue to come to him. How great are the things that are seen on this earth: mountains, seas, animals and even the skies in all their beauty. These were all made by God, because of his infinite power and love. We also know that what God wants to grow, grows and what God wants to be dormant will lay dormant. These are all accomplished through us in ways that we help with the growing of all living things while we are here, but it is only because of God’s power that it grows. In Romans we hear how Paul comes out to say the he is proud to be a servant of God and that is because it is God’s idea that he is a servant. Paul tells us that he is always thankful for others that have chosen to spread their faith in the Lord, even though sometimes they will sacrifice many things, up to including their lives for their faith. Paul also tells us that we need to see and appreciate the power all around us that God has given us, always be thankful to him for what we have. Paul also touches upon the ways in which we were given the ability to serve upon other things other than God, especially in terms of passions that are outside the honorable relationships we should have with each other while on this earth. Paul states in this chapter that we should know and follow what is right with God in order to have the eternal life in him and not in death. In looking at these passages today, how are you doing with building your temple for God? Are you bringing the best material to him or to others around you, in order to build more “Temples” in others, that house the true love of God reaching others around YOUR world? When you look at the things that we have on our planet and see the greatness in each, do you ever think about… How incredible is God for giving this to us? How can I thank him today for what we have and how we can bring others to it in his glory? Maybe the next time you see that incredible sunset or sunrise, will you Thank God for giving you another day here to do what he has given you to do with what he has planned for you to do. Like Paul says… Do what is right by God and he will acknowledge your love for him. Build for God… He Deserves OUR very Best! When you reflect on this passage today…do you believe that this verse can apply to you? Is your life filled with all joy and peace in believing? 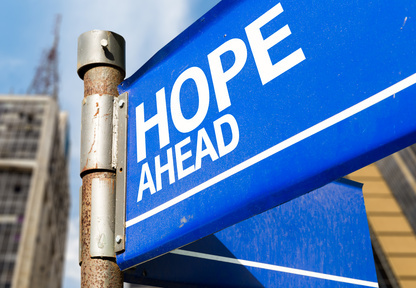 Do you abound in hope amid all of the trials and tribulations that surround us? Reflect today on the one and only God of hope who made himself real in the person and work of Jesus the Christ and by the power of his Holy Spirit for all those who claim faith in him! 5/21/18 1 Kings 7-8 Psalm 65 Romans 1 Bob B. 5/22/18 1 Kings 9-10 Job 6 Romans 2 Craig R.
Growing up I used to hear get cleaned up, put on clean clothes and shine your shoes because you have to look your best for God…yes, often heard on Sunday morning. I think today’s passages have a theme of understanding the best we have to offer. In 1 Kings 5-6, Solomon is the one to build the temple to honor God and he chooses the cedar of Lebanon as the primary construction material. This cedar was prized throughout the ancient Near East. Kings used cedar for royal buildings. Cedar signified royal power and wealth. Cedar symbolized growth and strength. 7 years to build…it must have been magnificent structure. We have no reason to believe that Solomon had misguided intentions in building a temple that would honor God – the temple God had approved. In reality, we can easily be led to understand the reverence Solomon had for this project…look at verse 6:7…apparently Solomon felt that the noise of construction was not appropriate for this temple in view of its purpose. So he had all the building parts cut and fitted at the quarry so that they could be assembled quietly on the site. Job’s friends present another understanding of best…sometimes best can be skewed. Eliphaz continues where he left off yesterday by advising Job to appeal to God because He is majestic, powerful, and benevolent, sending rain for crops; God provides for the poor and those who suffer, frustrates schemers, while the poor have hope. Basically, this is very good advice…except for one thing…Eliphaz wrongly assumed that Job had sinned. Therefore, God was correcting Job so Job should be grateful for the discipline. Eliphaz maintained that if Job would have the right attitude God would bless him. Eliphaz was just another friend trying to help – we have no basis to believe he was giving Job anything but his theory on why Job had fallen on hard times…based on what Eliphaz had observed in life (yesterday’s reading). So, what really, is your best? Solomon commissioned the Cedars of Lebanon – the very best for the God who deserved only the best. Job trusted in the God he, too, worshipped – despite the “best” his friends portrayed. Paul, even in prison, continued to give everything he had to God. What is your best? What are you giving every day to the one who created you in his image? If it is all about image, I might suggest that a little recalibration could be necessary. What really, is your best?